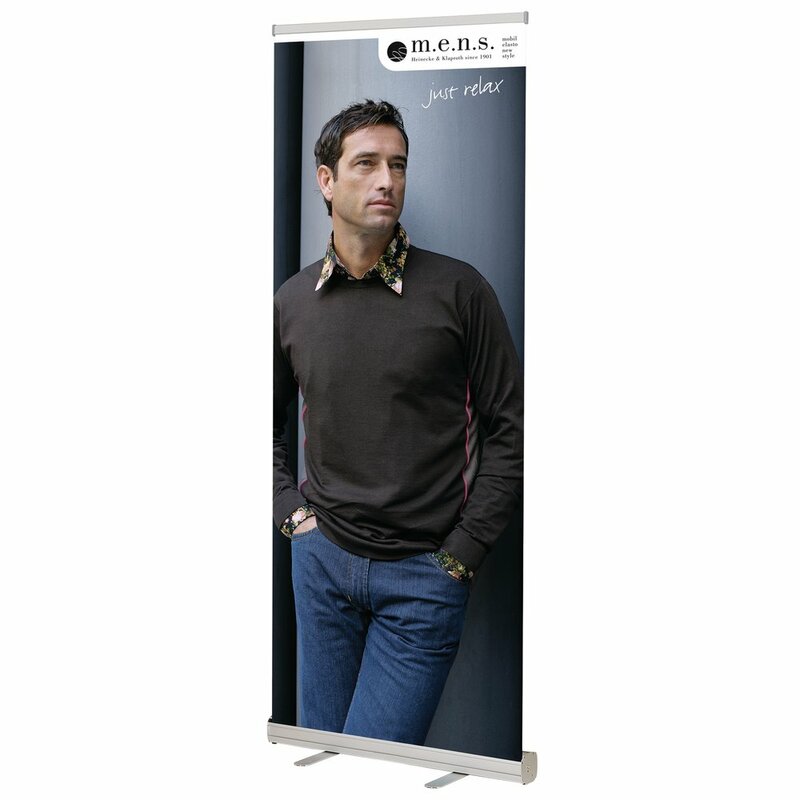 Seal Graphics - Display Equipment - Display Rollups - SEAL® Roll Up, Black, 33"
>SEAL® Roll Up, Black, 33"
SEAL® Roll Up, Black, 33"
The SEAL® Roll Up is a cost effective system for short term signage or promotions. It is designed with a reinforced fitting for the pole to ensure the display stands straight - no tilting or leaning.The top panel profile clamps the media securely in place without the need for adhesive strips and the pole attaches to the top panel from behind with no unsightly hook hanging on top of the graphic. The included carrying bag unzips lengthwise for greater ease and has extra padding over its entire length to ensure the display stays looking great.